In recent times, offices, companies and the likes have adopted the use of boards for either presentations, note making, as reminders, you name them. 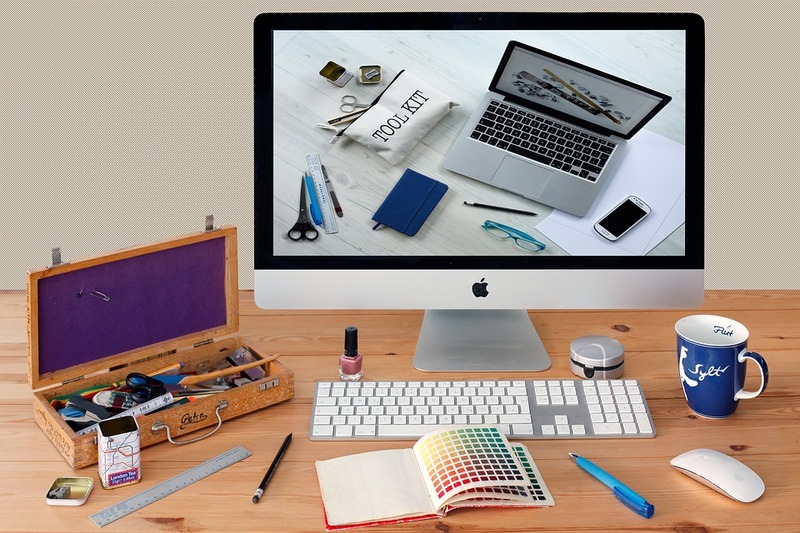 And when it comes to boards, the first one that comes to mind is the whiteboard popularly found in schools, however innovation has become a norm in the modern day society that’s why the likes of glass boards are now used in place of whiteboards. Glass boards are not just there to achieve the purpose of carrying out presentations, making notes or used as a reminder as earlier said, they also add a stunning effect to any office space in which its been installed, they bring that modern and stylish presence and comfortably blend into any environment as a result of their transparency. They come in a variety of sizes and colors to suit any type of environment and are generally more durable because they are tempered built, they are also a lot easier to maintain and clean.The glass board equally has the magnetic type popularly known as magnetic glass board. Magnetic Glass boards are a wonderful choice for office use, because asides the modern style and class it brings to the office which we already know, they are a masterpiece for presentations and make for easy rearrangement of schedules easily as well, with a magnetic glass board important notes or memos can be tacked on the surface, this gets rid of the use of pins which can be dangerous no matter how little they are. 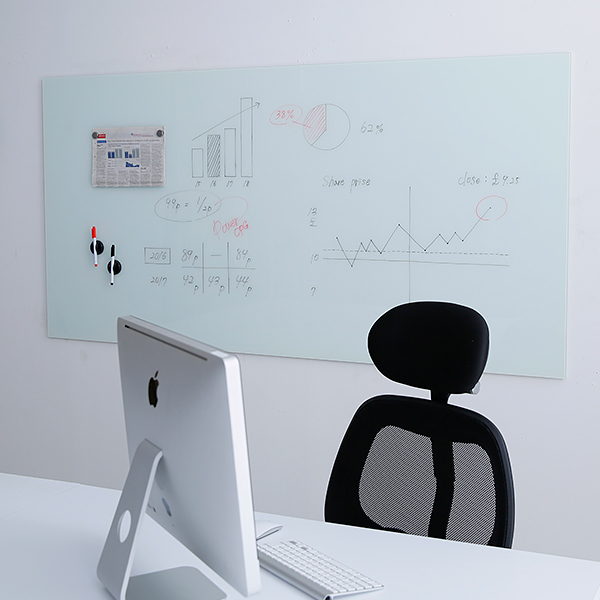 Generally the magnetic glass board are a unique means of communication in an office during and after meetings and as a personal reminder/calendar. 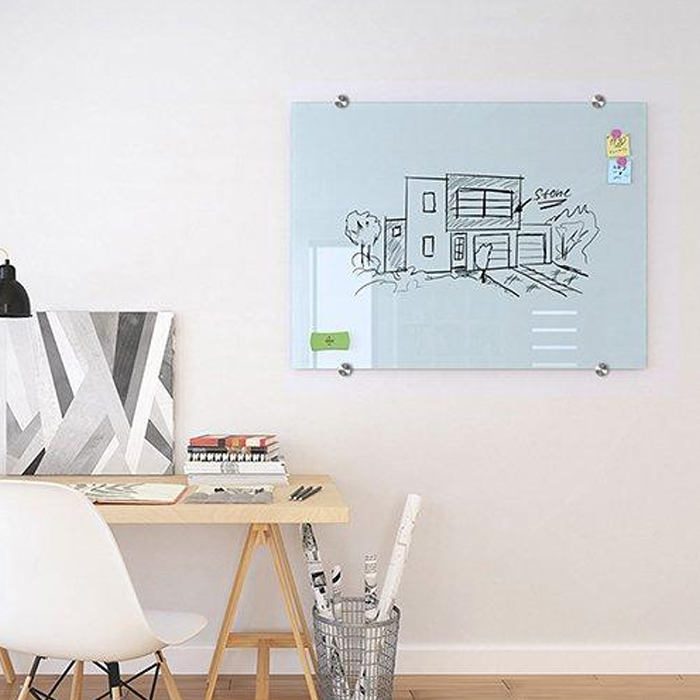 Most magnetic boards have a contemporary glass writing surface that looks stylish and adds class making the place look quite attractive and beautiful. Contemporary glass board is quite ideal for modern office environments, with its stylish looks it can be used to decorate and be creative as well in an office and workstations, even LED lighting can be further added to this type of glass to create an extra effect. How Do Glass Boards Make An Instructors Job Easy? For an instructor, who is using the glass board and not the regular whiteboard, to propose a solution, list out instructions, or giving out a presentation. If the board isn’t user friendly, imprecise, rough or filled with stains so, it makes his delivery poor. Even in some cases affect the presenter’s confidence thus making the meeting or presentation somewhat boring as well. This can be experienced mostly with the whiteboards and older boards, but with the contemporary glass board the presentation would definitely go smoothly as it’s easy to clean; the use of different color markers can appear attractive whilst writing on the board on flow. If it is the magnetic glass board there are also magnetic built type cleaners where all the instructor would need to do if an error is made is just clean is just reach out to the magnetic cleaner on the same board, wipe the error and push it to an area on the board’s surface that isn’t being used. This way you are not seen walking back and forth to get a cleaner and drop it back. Meeting rooms are also a space for brainstorming, the presence of a beautifully crafted glass board right in front of the meeting room for brain storming and presentation has the tendency to transform the atmosphere of the meeting. It is a nice way to impress clients as well as make it easy for the employees to put together great ideas, and in a situation where it is the magnetic glass board that is being used, moveable documents can easily be tacked to the board with the use of magnets, the board can also be used for creative flowcharts and all. Having a glass board in your office isn’t just about using them to make official meetings interesting is one way to keep the office environment fun and active. Every organization, office or workstation has scheduled days for meetings/brainstorming every now and then and in most cases a call for a meeting can have attendees excited or uninterested depending on the working environment. The use of glass board during meetings is one tool that can be used to make meetings a lot more fun and leaving the instructor of presenter with a lot more ease to passing out the information that is intended. Every employer and employees as well needs to be in the right frame of mind to perform their duties, one of which can be achieved by just having a fun meeting in a classy environment, and the glass board can give you just that. I mean If every meeting session turns out boring and unexciting, rest assured it will have a great impact on employee productivity and that would in turn affect the organization as a whole, but if a meeting is energetic and exciting the reverse would be the case, because the office environment is a significant factor on how successful an organization becomes.